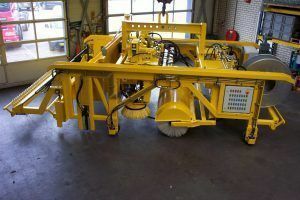 For a custom made sweeper in the concrete industry, Holland Hydraulics B.V. has supplied a hydraulic system, a turnkey solution. 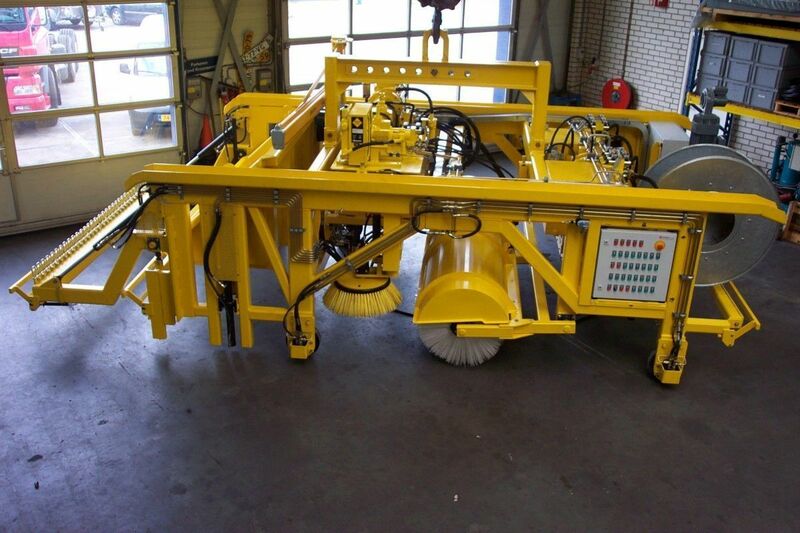 After the process of cutting concrete plates, the production lines need to be brushed and cleaned. 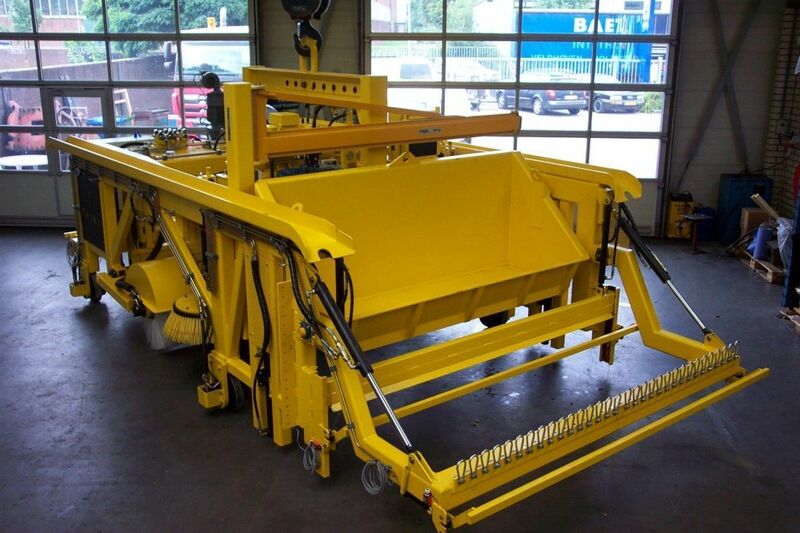 The sweeper is developed to fulfill this purpose. 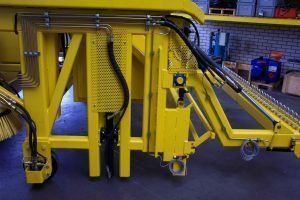 To power the sweeper, we supplied the 22kW hydraulic system, 2 hydraulic manifolds, and 19 hydraulic cylinders, all to customer requirements. 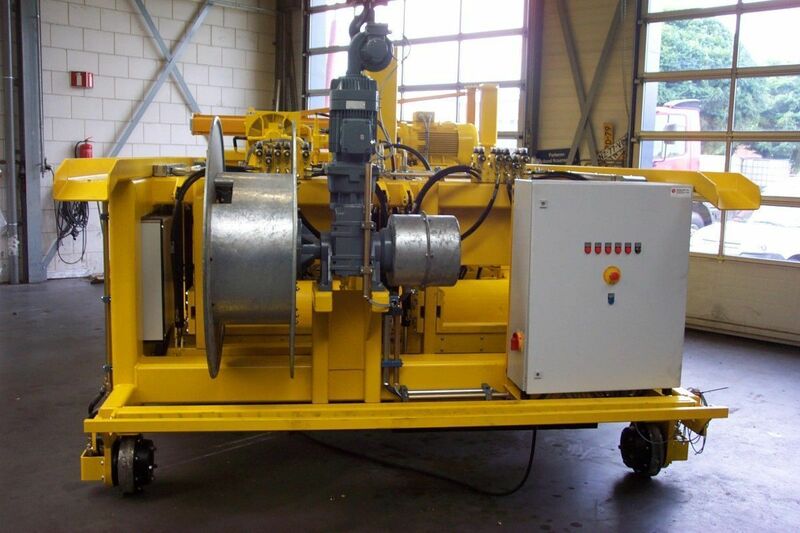 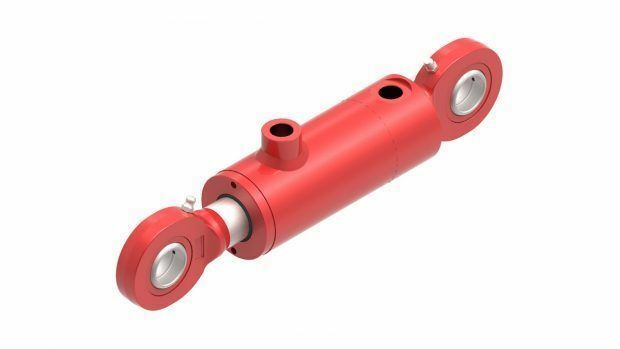 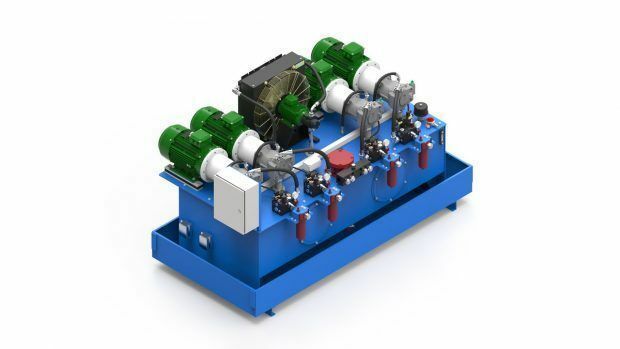 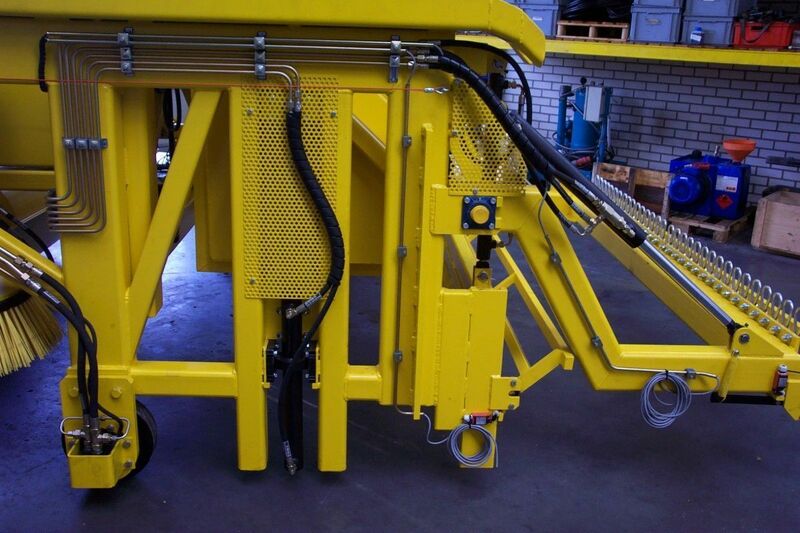 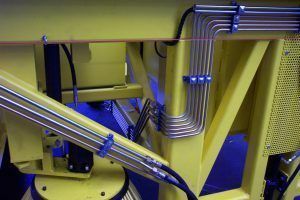 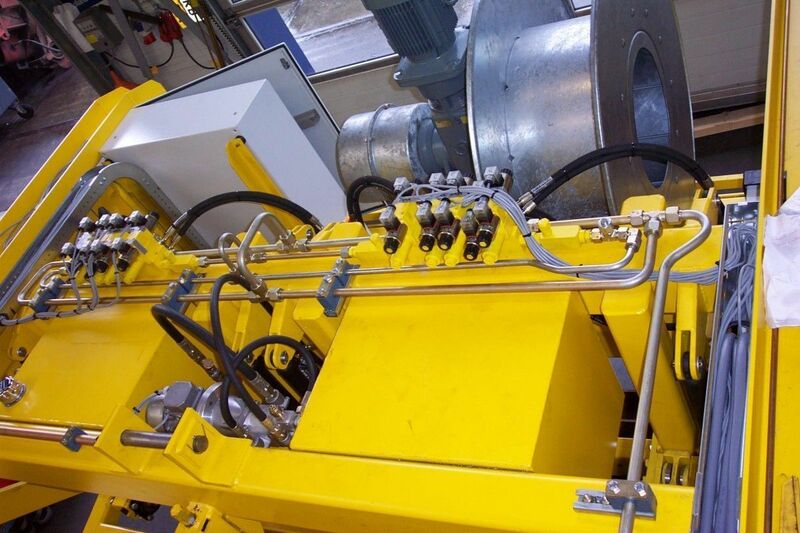 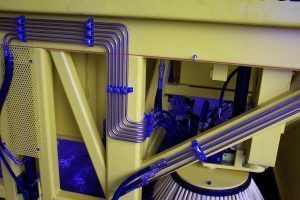 Holland Hydraulics B.V. delivered a turnkey solution: consultancy, engineering, production and installation of the HPU, manifolds, cylinders and the electric control systems. Our skilled commissioning team installed the piping work and after a successful FAT test, the project was completed.